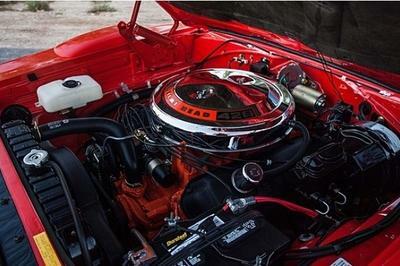 The Super Charger may be based on the original Charger, but Dodge made significant modifications to the body. Up front, the muscle car retains the original grille that stretches across the entire width of the fascia, but the pop-up headlamps behind them were replaced with Challenger SRT Hellcat lights. The standard bumpers were also replaced with fiberglass units that were flushed up and shortened for a more modern design. Below there a custom fiberglass splitter that looks a lot like the one from the Challenger SRT Demon. There also a new fiberglass hood with inner-steel construction carried from the original Charger. The big highlight here though is the massive hood scoop modeled on that of the Challenger SRT Demon. Moving onto the sides, it’s the wider fenders with fiberglass flares that catch the eye. 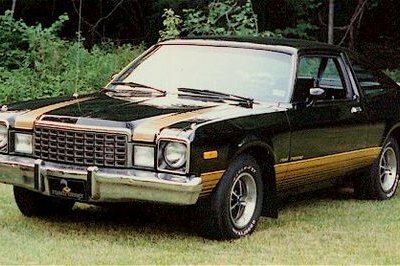 Dodge also shaved off the door handles for a cleaner look and replaced the Chager’s original mirrors with sportier units from the 1971 Duster. The front door vent windows, a traditional feature on 1960s muscle cars, was removed and replaced with one-piece side glass. No restomod is complete without modern wheels. The Super Charger features a set of custom-made, five-twin spoke rims finished in a smoked gold color. 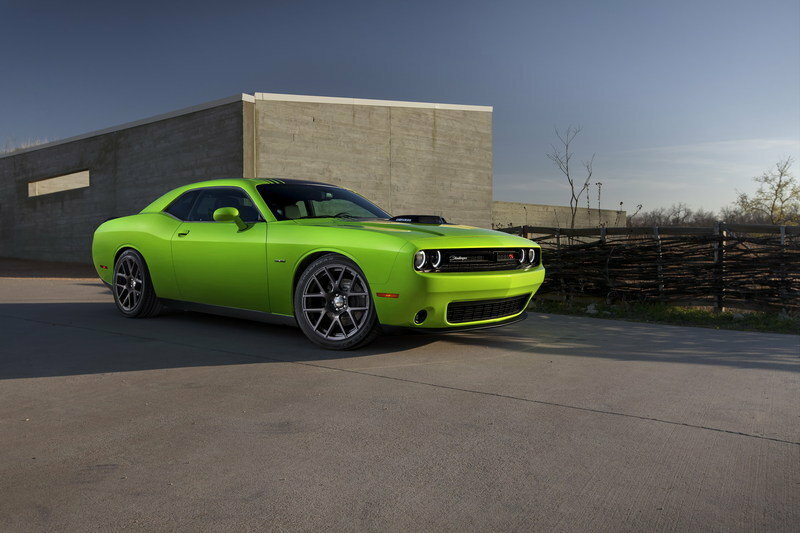 The design is based off the Challenger SRT Hellcat. While the front wheels measure 20 inches, the rear rollers are slightly bigger at 21 inches. Naturally, they’re wider than the Charger’s standard wheels in order to provide the grip needed to put 1,000 horsepower on the pavement. 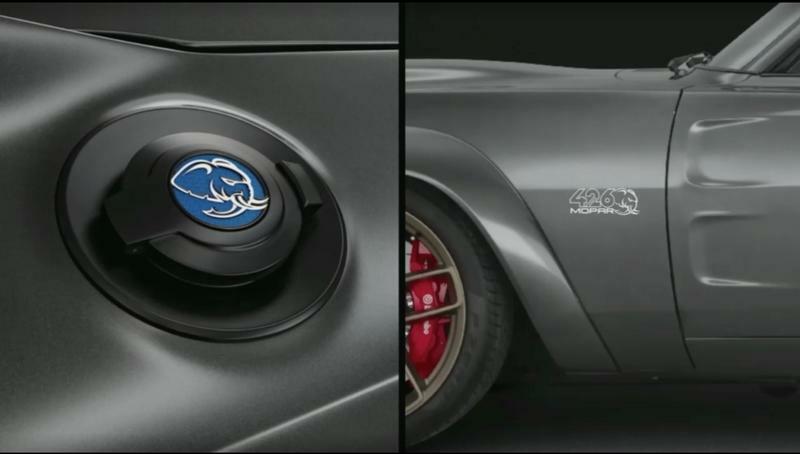 The profile is rounded off by "426 Mopar" decals on the fenders and a Satin Black fuel cap with a custom-milled, aluminum "Hellephant" medallion. The image shows an evil-looking elephant head on a blue background. 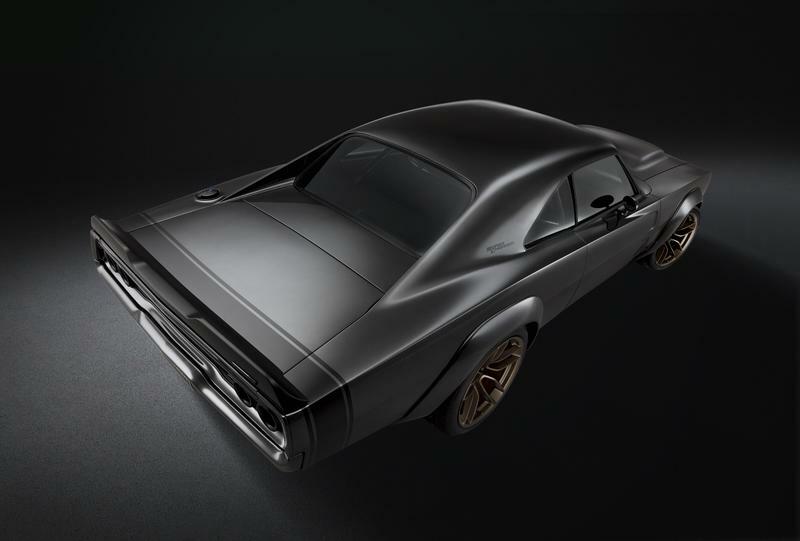 The rear fascia was updated to include a custom fiberglass bumper similar to the one seen up front, but Dodge also added a custom spoiler inspired by the modern Charger R/T. But arguably the coolest feature is the exhaust integrated into the taillights. The lower exhaust tips were eliminated altogether and replaced five-inch, dual-walled outlets from the Alfa Romeo Stelvio. They were also re-engineered to run through the taillamp housing, while the brake lights have been reconfigured with LED lights that glow around the exhaust tips. When turned on, it looks as if the exhaust pipes have red flames glaring around them. Now that’s unique and really, really cool! 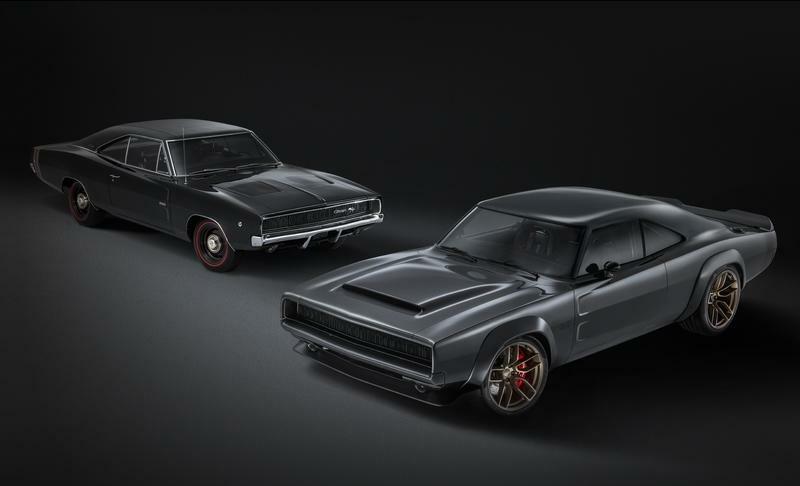 Finally, Dodge wrapped the coupe in a custom De Grigio Grey Metallic paint and kept the Charger’s iconic stripes on the rear fenders and trunk lid. FCA also dropped the Super Charger by 3.5 inches up front and 2.5 inches to the rear for a more aggressive stance. 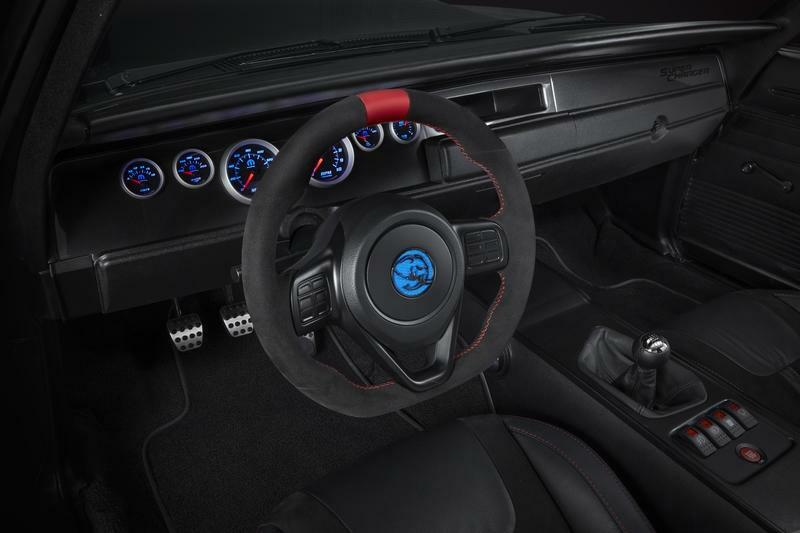 The interior of the Super Charger is also a combination of classic Charger features and new elements from the modern FCA portofolio. Dodge retained the squared-off dashboard of the 1968 Charger, but combined it with new Mopar gauges. But while these are modern and feature a blue background color, they’re also traditional analog gauges. No digital screens in this restomod, which adds to the vintage vibe. The steering wheel looks decidedly more modern than the Charger’s, but that’s not surprising given that Dodge took it from the recently discontinued Viper. Highlighted by red stitching and a thick red stripe at the 12 o’clock position, it also features the Hellephant medallion in the center. The upper part of the passenger-side dash features a De Grigio Grey Metallic insert that matches the body color and the "Super Charger" lettering at the right corner. The center console also remains true to the original 1968 Charger, but it now features a manual shifter taken from the Challenger SRT Hellcat, as well as an engine start button. Sporty Viper seats wrapped in Alcantara with red stitching and fitted with four-point Sabelt racing harnesses flank the console. There are no rear seats, a feature reminiscent of the Challenger SRT Demon, which leaves room for a two-inch rollcage and a net for storage of racing equipment such as helmets and gloves. The floor is covered with Challenger SRT Hellcat carpets in the back and custom mats based on the Charger SRT in the front. A Mopar pedal kit and Satin Black door panels with Hellephant milled medallion rounds off the bespoke interior. The Super Charger is downright mad when it comes to what’s under the hood. Forget about the Challenger Hellcat and the Demon, this thing will eat them up on the drag strip. That's because the supercharged, 7.0-liter V-8 under the hood cranks out a massive 1,000 horsepower and 950 pound-feet of torque! That’s an extra 293 horsepower and 300 pound-feet over the Hellcat and an extra 160 horses and 180 pound-feet more than what the Demon can deliver while using 100-octane fuel. Holy smokes! So where’s all this oomph coming from? 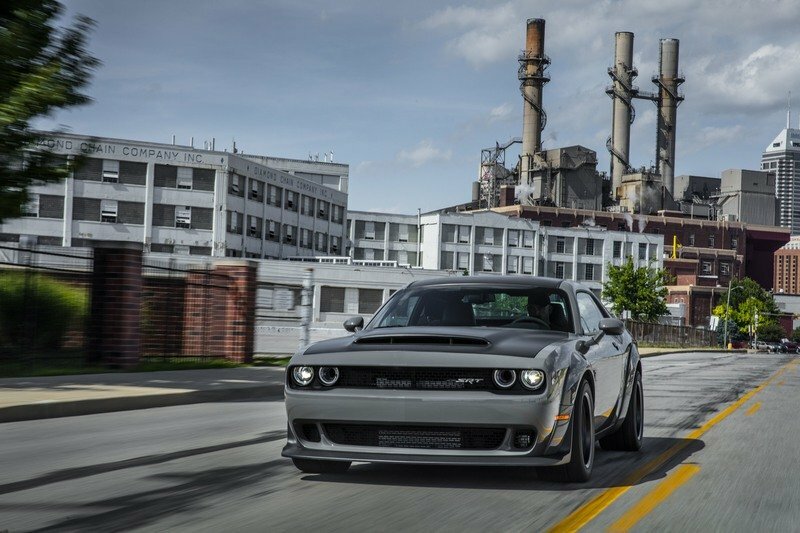 Well, Dodge says it hits the magical mark via bulked-up displacement with four inches of stroke and 4.1 inches of bore, and an improved supercharger (likely based on the 2.7-inch unit from the Demon). Oh, the all-aluminum block is also heavily based on the one used in the Mopar Challenger Drag Pak race cars that compete in the NHRA Factory Stock Showdown class. Dodge and Mopar basically reconfigured the unit for street use. But the really big news here is that this monster of an engine isn’t some sort of experimental, never-to-be-produced mill. Nope! It's actually a crate engine that you can buy starting in the first quarter of 2019. Exactly, you can take it home in a box and drop it in any vehicle you want. The complete engine assembly includes a water pump, flywheel, front sump oil pan, supercharger with throttle body, fuel injectors and coil packs. It can be paired with the Mopar Crate Hemi Engine Kit for relatively simple plug-and-play by experienced installers and it can be installed in pre-1976 street and off-road vehicles. The package also includes valve covers taken from the Challenger SRT Hellcat Redeye and valve train, valves, locks and retainers pulled from the Challenger SRT Demon. The engine build includes a special high-lift cam, as well as custom-forged pistons. To make things as simple as possible for the installation process, Dodge also added a powertrain control module (PCM), power distribution center, engine wiring harness, chassis harness, accelerator pedal, ground jumper, oxygen sensors, charge air temperature sensors, fuel pump control module, and cam bus interface device to the kit. 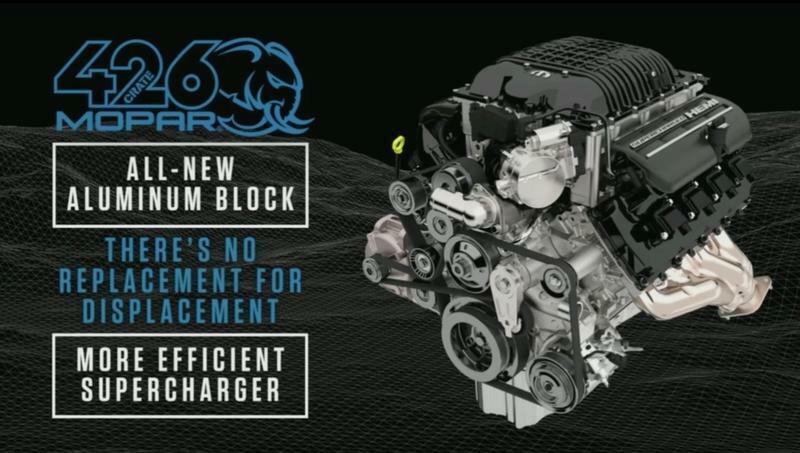 The engine in the Super Charger mates to a stock T-6060, manual six-speed transmission from the Challenger SRT Hellcat, which seems to handle 1,000 horsepower. Of course, Dodge upgraded the braking system of the 1968 Charger too. 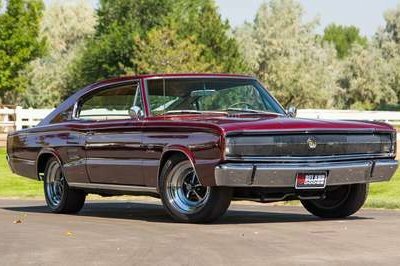 Braking wasn’t the old Charger’s forte back in the day, so FCA added six-piston Brembo calipers and bigger discs all around. There's no word as to how this quick the Super Charger is in a straight line, but it should hit 60 mph from a standing start in less than 2.8 seconds. However, I don’t think it’s quicker than the Challenger SRT Demon, which needs only 2.3 click thanks to its drag-spec tires. Quarter mile times should come in at around 10 seconds, but I’m definitely anxious to see the Super Charger in action at the drag strip for an official quote. What I like most about Dodge is that it works really hard to connect new technology and features to iconic symbols from the past. In this case, the Hellephant engine and logo are a nod to the original 426 Hemi V-8, which was nicknamed the Elephant for its power and size. Introduced in 1964 as the second-generation of Chrysler's hemispherical head design, the Elephant was the biggest engine in racing at the time. 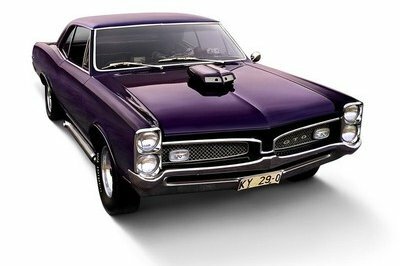 Initially produced for use in NASCAR, it was sold to the public in 1965 in the Dodge Dart, Plymouth Fury, and the Dodge Coronet. 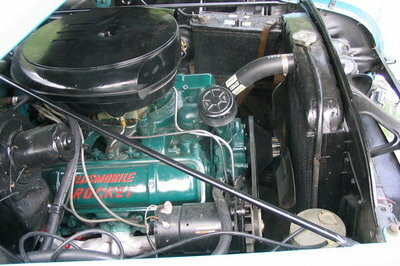 More cars were equipped with a street version of the 426 Hemi in 1966, in order to legitimize its use for NASCAR. 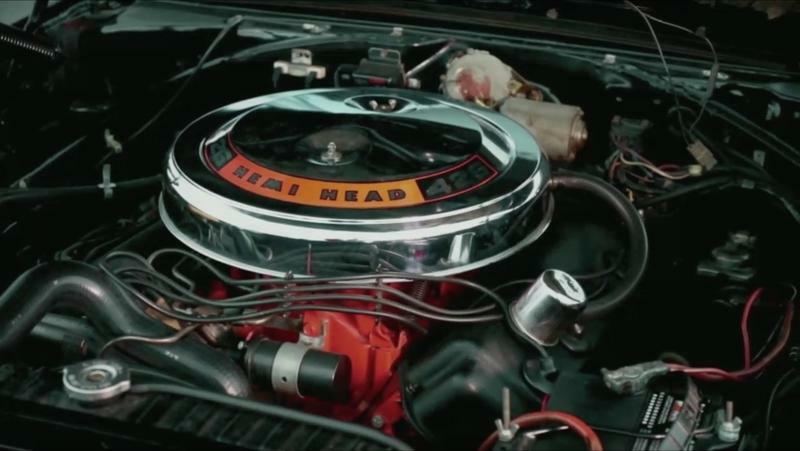 Nameplates that were sold with the Elephant engine until it was discontinued in 1971 included the Plymouth Satellite, Dodge Charger, Plymouth Barracuda, Dodge Super Bee, Plymouth Road Runner, Dodge Challenger, and the Plymouth Superbird. In its most powerful iteration, the 426 Hemi delivered 425 horsepower and 490 pound-feet of torque. Needless to say, 1,000 horses and 950 pound-feet seems like a solid evolution for 50 years. 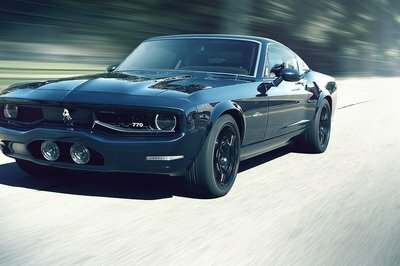 When it comes to restomods, it really doesn’t get better than a Mopar muscle car with 1,000 freakin’ horsepower. Or at least that’s what I used to think up until now. It does get better if the engine under the hood comes from an OEM. Highly powerful restomods are usually the work of companies providing aftermarket parts and engines, but now you no longer need to take it there. Sure, a restomod created by the Ringbrothers is hard to beat, but it can get awfully expensive. 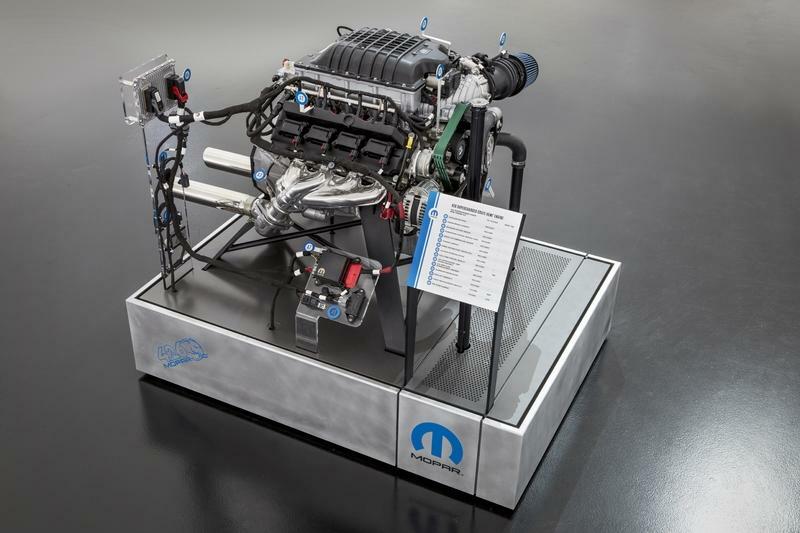 Now, you can just buy a crate engine and stuff it into your favorite classic Mopar. Customize it to be as cool as the Super Charger here, and you’ll definitely win some awards and even a few drag races. 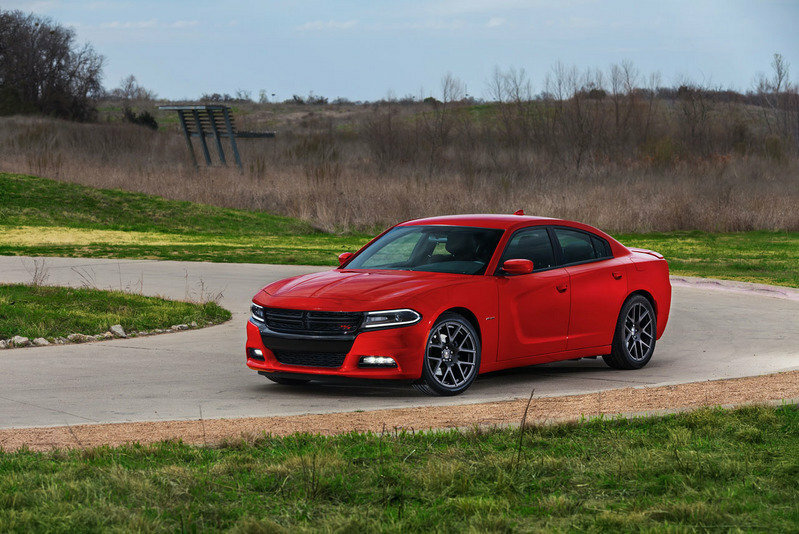 Read our full review on the 2018 Dodge Charger. Read our full review on the 2018 Dodge Challenger. 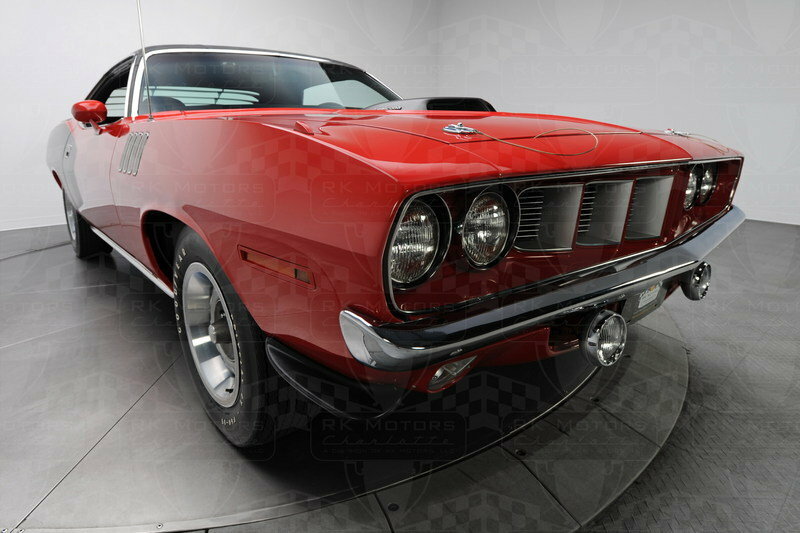 Read our full review on the 1970-1971 Plymouth Hemi Cuda. 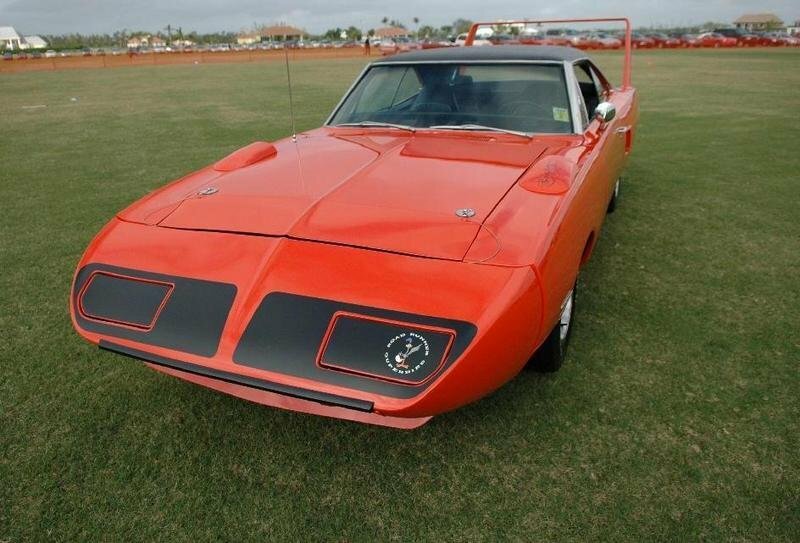 Read our full review on the 1970 Plymouth Superbird. Read our full review on the 1969 Dodge Charger Daytona Hemi.